Your wedding event upon our luxurious yacht is truly all-inclusive. 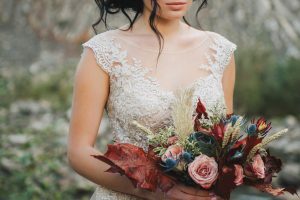 The following is included as part of our wedding package: Catering, Drinks, Wedding Cake, Photography, Entertainment, Flowers, Wedding Coordinator and Minister. Electra Cruises is one of the only yacht charters within Newport Harbor to have full galley kitchen on each boat. Only the freshest ingredients are chosen to prepare every item, and all preparation is done in our galley kitchen to insure freshness. 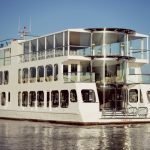 Whether you require the charm of a paddle-wheel river boat, the elegance and romance of a classic fantail yacht, or the world class luxury of a modern ultra-contemporary motor yacht, Electra Cruises has the right vessel for you. 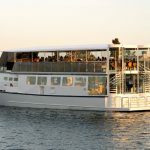 Decorated with a flawless Greek motif emblematic of its name, the 115-foot Athena can hold 150 guests. This yacht is equipped with three enormous decks for entertainment, the 125-foot Destiny can hold 150 guests. 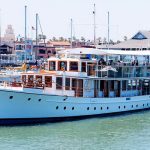 Built in 1929, this 100-foot classic fantail vessel was exquisitely restored and can hold 75 guests. The Eternity is a magnificent addition to our fleet at 140 feet long and 33 feet wide. With an occupancy rate of up to 300 passengers. 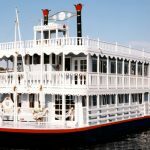 Unlike any in our fleet, this yacht offers the charming appearance of a classic river boat allowing up to 150 guests. 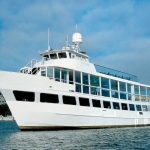 Selecting the proper menu for your Electra Cruise event might just be as fun as the cruise itself. Whether you choose a sumptuous Breakfast Buffet on the Bay, Silver Tray Hors D’oeuvre Service, a lavish Buffet or an incredible Sit-Down Meal, our chef will wow! 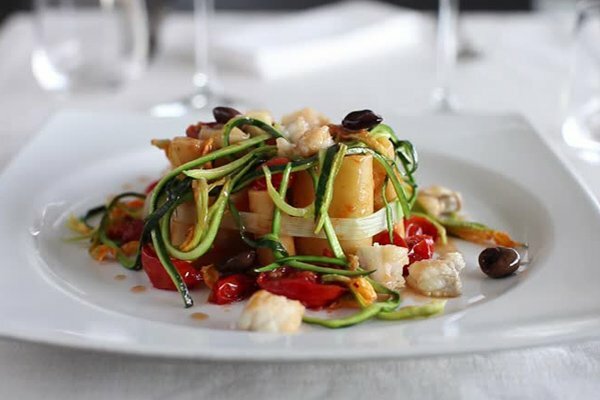 your guests with gourmet selections. The Christmas Boat Parade is an annual tradition that has taken place every December for over 100 years! Hailed as “one of the top ten holiday happenings in the nation” by the New York Times, you and your guests will get to experience this spectacle firsthand aboard your own private luxury yacht. Contact us to learn more about our affordable wedding packages! 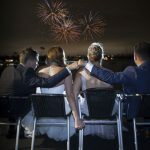 We are the premier Newport Beach, California yacht rental company, offering the best selection of yachts and unparalleled service for Newport Beach yacht charters, California yacht rentals, yacht ceremonies or celebrations of all kinds. Our yachts offer a one-of-a-kind meeting location or corporate event venue. © 2019 Electra Cruises. All rights reserved.